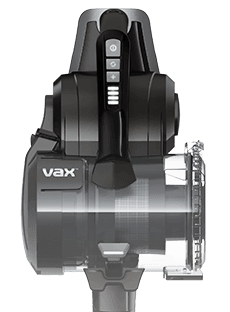 Payment Plan of 4 x monthly instalments of £22.50 applies to VAX Air Pet Cylinder Vacuum Cleaner only, additional items to be paid in full at checkout. The AirTM Pet picks up dirt with ease on all floor types across your home. Its multi-cyclonic technology ensures that its performance is constant and powerful. The HEPA filter traps 99.98% of dust and allergens for cleaner air. The AirTM Pet is light weight so it's easy to carry up and down stairs. Its compact size also makes it easy to store in any home. With this cylinder vacuum cleaner you can clean for longer without having to constantly empty the dirt bin.